Facebook is one of the most popular social networking sites. There are almost millions of users who are registered on the Facebook from all over the world. Facebook is one of the most effective platforms where the businesses promote their products and services in a quick time. Approximately, everyone knows that what is Facebook and how it can be operate. The large number of businesses are uses the Facebook in order to promote their businesses in the general public. Businesses can upload the information regarding management, products and services, and new projects in the form of Facebook posts. The reason is that the visitors can read their posts and share their views with the business or company. 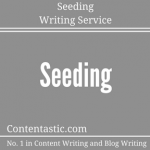 It is necessary for the writers to use appropriate, understandable, informative language in the posts which might be helpful in generating the interest of the customers towards business. It is also important that businesses should use fresh, innovative as well as original content for Facebook posts in order to attract more visitors on the website. Moreover, the businesses should first make the calendar for the Facebook posts. This calendar will help in order to know the Facebook posts pattern of any business. 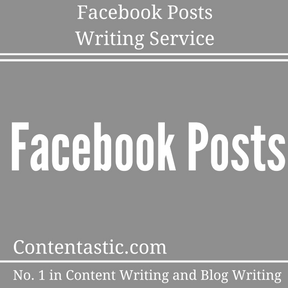 At our Facebook post writing services, we provide high quality Facebook posts to the businesses. 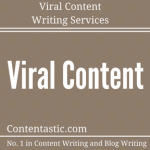 Our writers have the capability to write effective Facebook posts which have significant effect on the visitors. After writing the Facebook posts, they might be shared with the other active users of the Facebook. Here, the purpose is that to increase the knowledge of the customers as well as Facebook posts create more opportunities for the business. Furthermore, there are hundreds of reasons due to which the people need Facebook posts. It is one of easiest ways to communicate with the general public all over the world. In addition, Facebook posts do not charge any cost from the users. The Facebook users are allowed to do millions of posts with paying a single penny on it. Facebook posts are also considered as one of the best marketing tools. It is also useful in increasing the flow of visitors on the website that is because it promotes the website content in the Facebook posts with the users. By using the Facebook post, each and every business is able to promote the website content with the general. The businesses should take the benefits of the social networking sites such as Facebook, Twitter, LinkedIn, and many others in order to endorse the business, generate more customers of products and services and the long term success in the business. 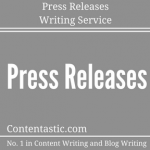 The customers should hire highly experience Facebook posts writers for their business promotion. 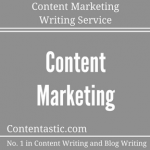 The reason is that they have excellent skills regarding Facebook posts writing. The posts have a great impact on the customers, and they are able to create customers’ retention in the products and services of the business. Pay per Post – No Subscriptions! We provide Facebook posts in reasonable prices. We do not charge any subscription charges, however we offer pay per post services to the customers. 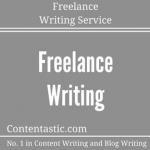 In this service, the customers are only obliged to pay for that posts which they get from our writers. In addition, we also do not charge any hidden charges from the customers at our services. 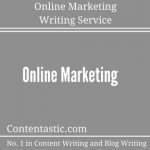 Our writers are highly educated and well experienced in Facebook posts writing. They are able to writer high quality posts as per the needs of the customers at any time of the day. 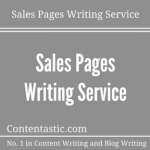 Therefore, we are one of the leading Facebook posts writing services of this industry. We have a belief that the customers will always get pleasure after getting our services. We offer our services 24×7 globally which is our competitive edge. The price of our services is quite low; however the quality of the posts is remarkable.